Marseille is the largest and most populous commune in France after Paris and is the centre of the third largest metropolitan area in France. 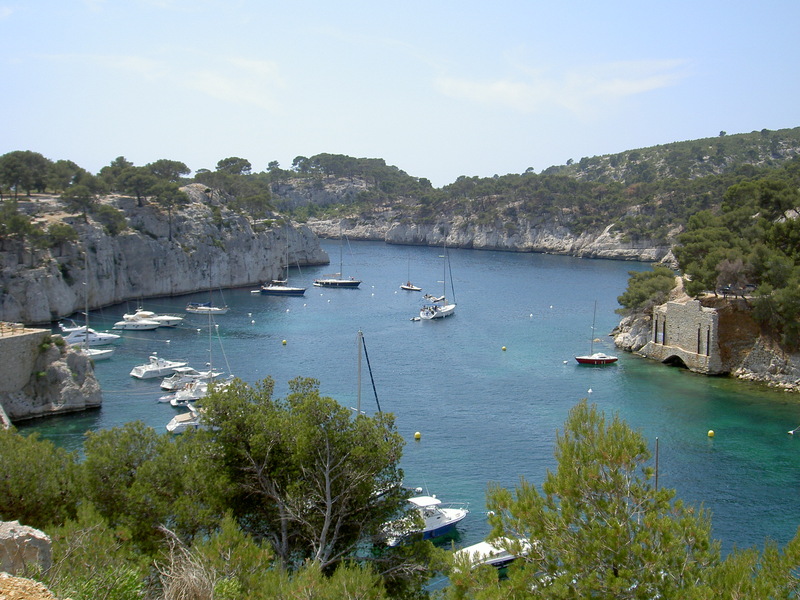 To the east, starting in the small fishing village of Callelongue on the outskirts of Marseille and stretching as far as Cassis, are the Calanques, a rugged coastal area interspersed with small fjords. The city’s main thoroughfare, the wide boulevard called the Canebière, stretches eastward from the Old Port (Vieux Port) to the Réformés quarter. 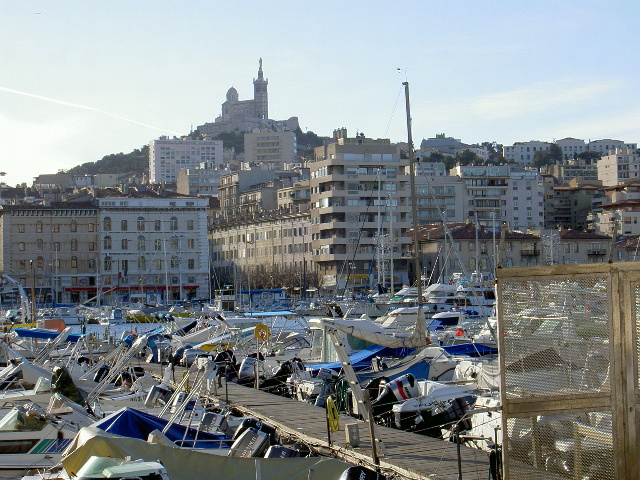 To the south west are the hills of the 7th arrondissement, dominated by the basilica of Notre-Dame-de-la-Garde. Notre-Dame de la Garde is a Neo-Byzantine church sits atop the signal hill of La Garde, the highest natural point in Marseille, being a 162 m (532 ft) limestone outcrop on the south side of the Vieux Port. Before your lunch, I plan a wine tasting. I know a very good winery, outside the village. The appellation Cassis wine, received the Appellation d’Origine Controlée in 1936, the first in the region. They produce red, rosé and white, the white is the most famous and is really outstanding. 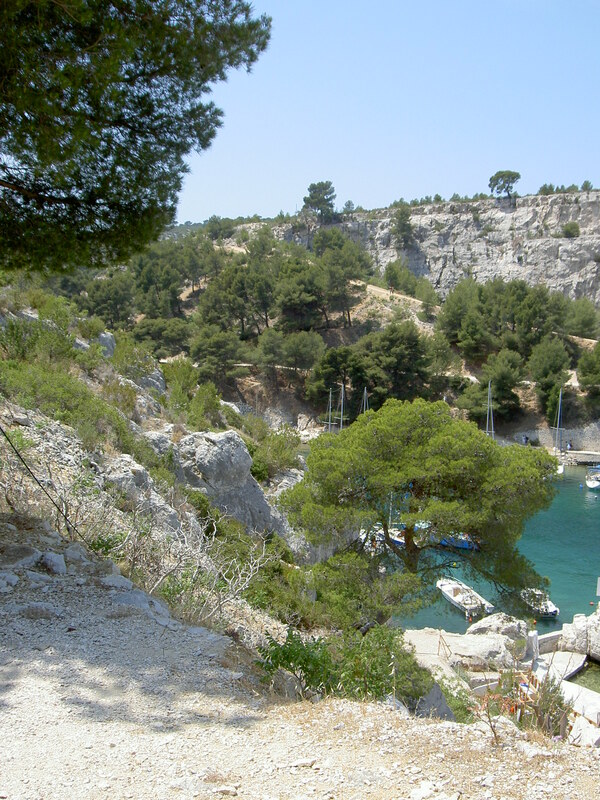 Cassis is an interesting village to visit. Other sites in the village are old fountains and an open-air market. Cassis is still a small fishing port, but the little fishing boats now share the harbor with boats for visiting the calanques (creeks), a trip you shouldn’t miss. Tour of 3 creeks last 45 minutes. 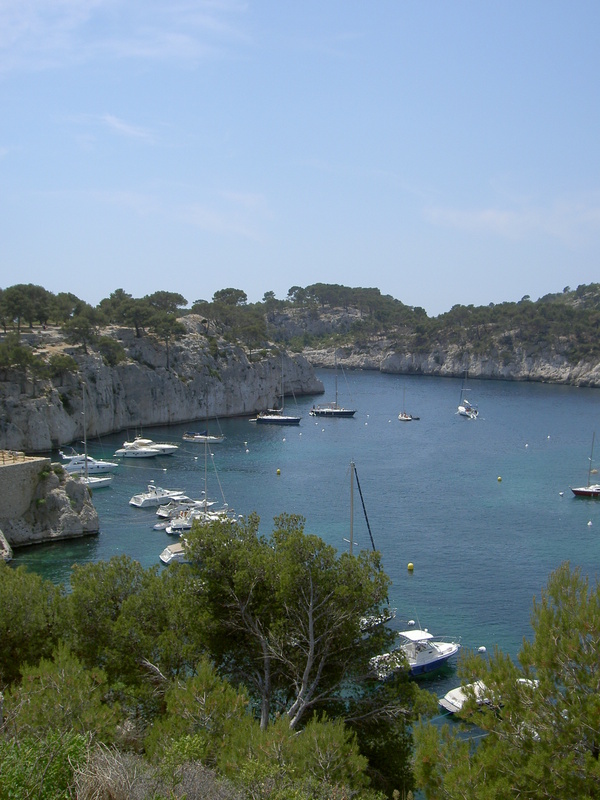 Port Miou, wich means in provencal:"well sheltered from the wind", you will notice the first of the white Cassis stone quarries in the Calanques opened in 1753. En Vau, which means "in the valley" in old French. It is the pearl ot the creeks according to many, and a meeting place for climbers that come from all over the world to pursue their passion. or Tour of 8 creeks last 1h30 minutes. In addition with the 3 previous creeks. L’Oule, Its entrance is barely visible in the left hand corner, and its passage between the rocks ends at a deep round bowl. Devenson creek bounded by a circular cliff of 150 meters high, and dedicated to the god of winds. onlly the best climbers train here. Sugiton, It was one of the first places for naturist in France. Morgiou.. 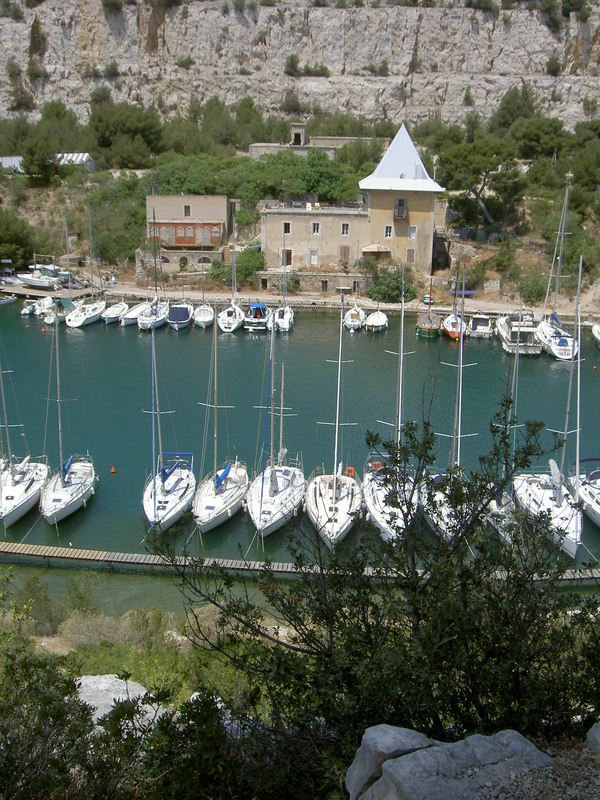 It is a typical port with small pleasure craft. 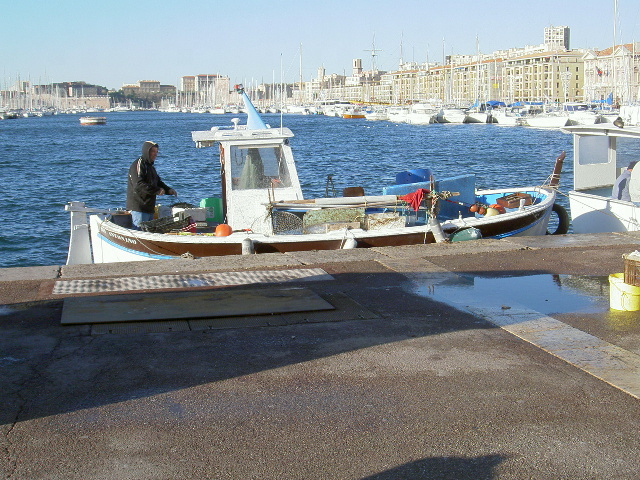 Around the port are situated Marseille style fisherman’s cottages (cabanons). Behind Cape Morgiou lies a prehistoric cave at depth of 37 meters. 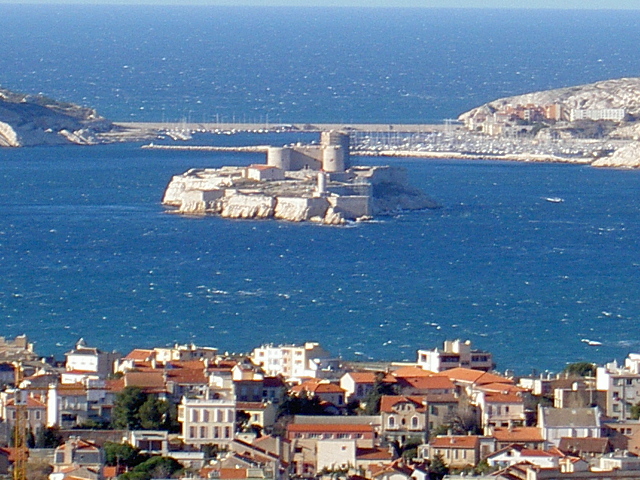 It is named after a local diver from Cassis, Henri Cosquer. Cosquer Cave discovered in 1985 and its primitive wall paintings , dating back 27000 years, are well documented today.